I love a pretty handbag for spring and right now floral handbags are the bags of the moment (and always a classic, so every fashionista should own one). I recently found the most beautiful floral print patchwork bag that I’m absolutely carrying everywhere with me this spring! The Fricaine Pretty Bride Shoulder bag is truly a unique, one-of-a-kind gorgeous handbag! This pretty bag is made with high-quality synthetic leather mesh straps, and a pretty 100% cotton body made from wax printing technology. 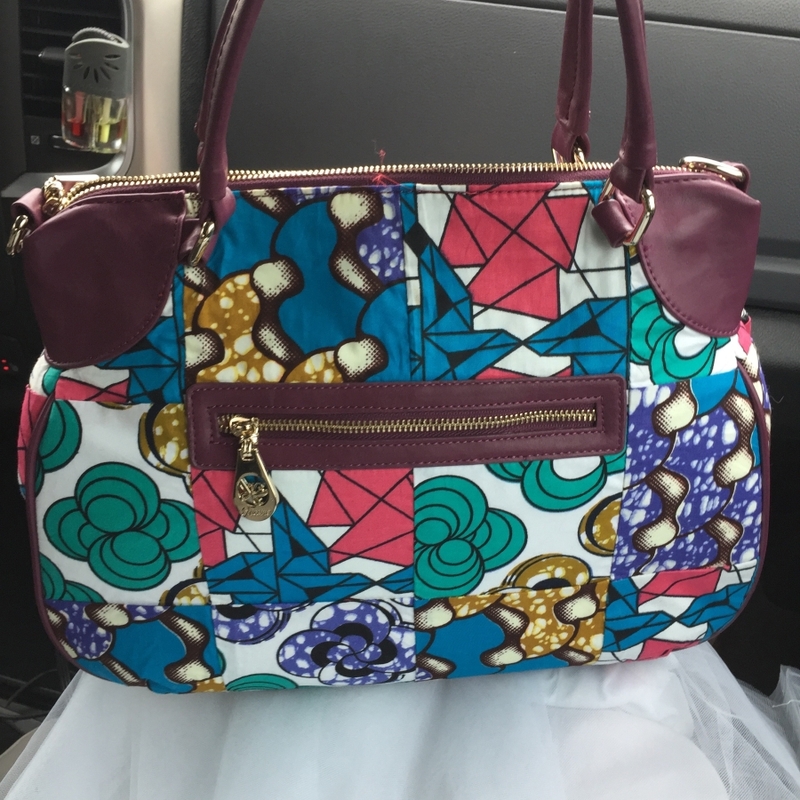 As you will see here, the bag is actually a patchwork made of four different, distinct wax fabric patterns! When this bag arrived, I pulled it out of the box with a big oooh and ahhh! The bag is certainly eye catching and the perfect spring print! I personally love the bright colors making it a fabulous stand out piece! 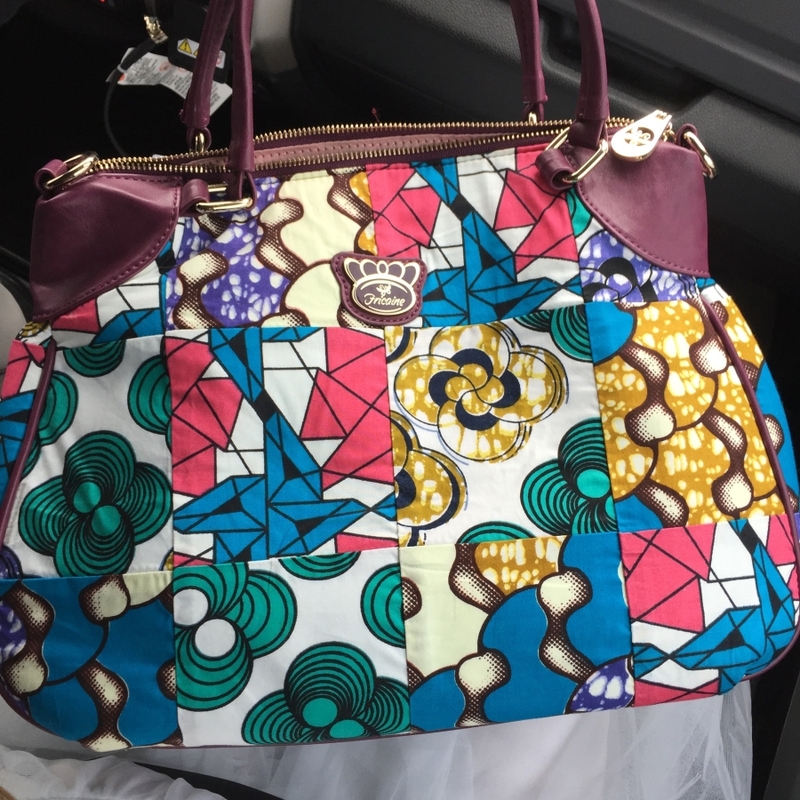 The exotic globally-sourced fabrics really bring a genuine uniqueness to this bag that really sets it apart from other bags on the market! This bag will really looks great with everything too! Try a fun striped or polka dot top, romper, jumpsuit, or dress with this bag for a fun mix of prints! You can also wear it with lots of different colors or a pretty black and white palette like I did here, to make the bag the focus of the outfit! The bag is great to carry around as is, or you can use the adjustable detachable shoulder strap if you’d rather carry your bag on your shoulder! The bag is incredibly comfortable to carry, lightweight, and super roomy! The custom made maroon lining makes the inside of your bag just as gorgeous as the outside! 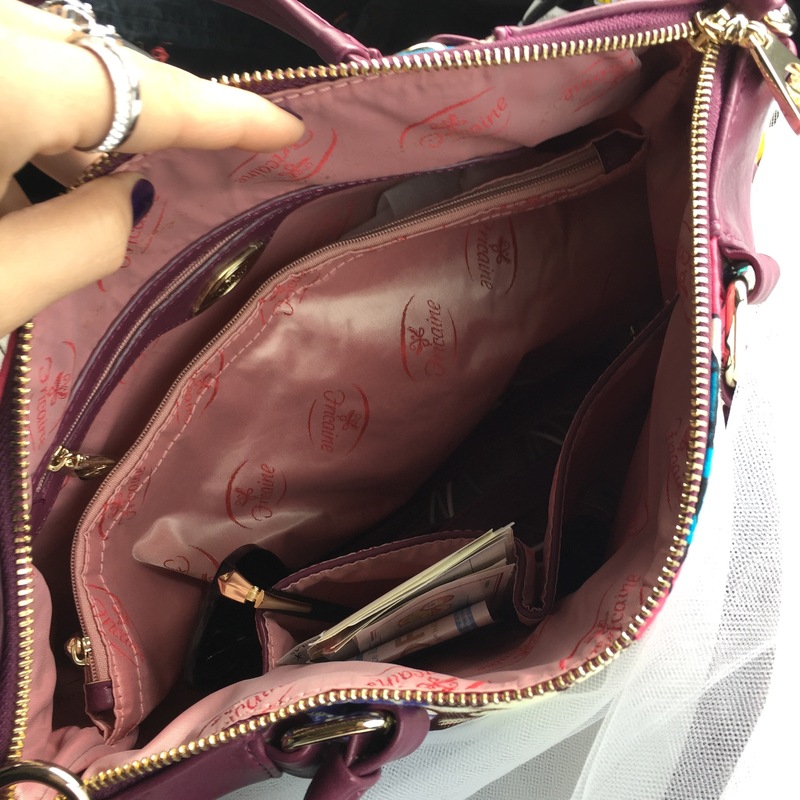 I personally love that it comes with two inside pockets for cell phones, cash, etc, as well a big zippered pocket in the center of your bag, and another zipped pocket on the opposite side of the inside of the bag. You also get another one on the outside of the bag, on the back, for lots of organized and handy storage! The pretty gold delicate hardware on this bag really ups the style factor too! The elegant zippers easily zip up and the handles make such a comfortable and perfect fit in the hands, even when you’re carrying a heavier load! Isn’t this bag gorgeous? And you can see here how you can easily and safely stow away all of your valuables in a handy, organized manner in this beautiful bag too! I’m head over heels for this bag and loving how great it really looks with everything! This sophisticated bag is perfect for the office, running errands on the weekend, or for a lovely night out! You will love how incredibly versatile this fun bag and it’s beautiful print really is! It’s the perfect carryall for spring, or really any season for that matter! If you would like to learn more about the fabulously high-quality, unique Fricaine Handbags, check them out today or purchase one for yourself at Fricaine.com today! I like the colors but not the randomness of the patterns. I would like it better with one of the designs in a uniform pattern. What a beautiful bag!!! The pop of color would be great with any outfit. I mainly wear black so this would go great as a color accent. I think this is great to use for Spring and Summer time. I just got a Fricaine purse and I love it. It is really nicely made.